Upcoming Apple smartphone and relatively the iOS new version, iPhone 5 will be powered with, are the most rumored, and at the same time, most mysterious things about Apple these days. According to the most widespread, and probably most optimistic sources, iPhone 5 is widely expected to arrive in June, while we doubt (and probably reasonably) that it will be iOS 6 unveiled in June, and the iPhone 5, or whatever it will be called, will hit the stores in October. 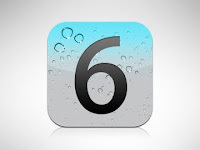 As mentioned above, improvements and augmentations iOS 6 will bring are kept in secret, despite the huge interest towards them. However, one thing gets more or less clear – Apple is quite likely to ditch Google maps in the next iOS update, as the recently leaked screenshot suggests. However this is not the first time Apple uses OpenStreetMap Foundation in its products - it is already being used for the slideshow functionality in its new iPhoto for iOS, regardless the fact that Google Maps are still being used for assigning places. As the watercolor style of the leaked image suggests, most probably it is a screenshot leaked from iPhoto. The rumors claim that Apple has not credited OpenStreetMap for the usage in iPhoto. According to the OpenStreetMap blog post published last month, “the new iPhoto for iOS, however, uses Apple's own map tiles - made from OpenStreetMap data (outside the US). It's also missing the necessary credit to OpenStreetMap's contributors." However Apple has put your faith in Google Maps on its iOS devices since 2007 when the iPhone was launched for the first time. However, Apple is not the one and only company removing Maps by Google from its service- Foursquare did just the same by switching to open source maps too. The decision of pulling our Google Maps for the next iOS version should be driven by the tough competition between Apple and Google’s mobile OS, getting intense day by day. As Steve Jobs claimed, Android was “stolen” from iOS, and his quote confirms this: "I'm going to destroy Android, because it's a stolen product. I'm willing to go thermonuclear war on this."